With the vast education inequities that have existed for centuries, all that is known about how students learn, and the predictions regarding the world that our students will face tomorrow, using a traditional one-size-fits-all approach to teaching and learning is educational malpractice. Built on the foundation of leadership and school culture, the presenter’s redesigned learning experience fundamentally shifts the teaching and learning paradigm to one that is personal, is grounded in evidence, leverages technology, transforms the spaces in which learning occurs, helps educators grow professionally, promotes collaboration with the community, and, ultimately, ensures the sustainability of the system as a whole. 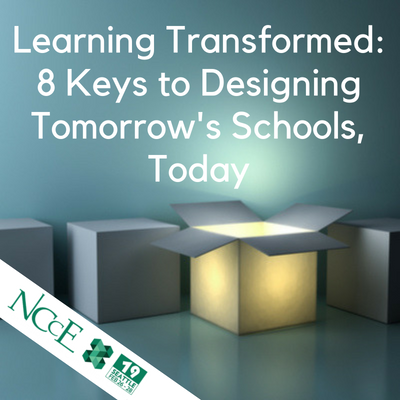 Based on ASCD’s best selling book, Learning Transformed: 8 Keys to Designing Tomorrow’s Schools Today, this workshop will dissect these eight keys, which each serve as a puzzle piece for redesigning the learning experience. Learn how to unlock tomorrow’s schools so that today’s modern learners leave ready to create new industries, find new cures, and solve world problems. You are part of the solution! Eric is a Senior Fellow and Thought Leader on Digital Leadership with the International Center for Leadership in Education (ICLE). Prior to this he was the award-winning Principal at New Milford High School. Under his leadership his school became a globally recognized model for innovative practices. Eric oversaw the successful implementation of several sustainable change initiatives that radically transformed the learning culture at his school while increasing achievement. His work focuses on leading and learning in the digital age as a model for moving schools and districts forward. This has led to the formation of the Pillars of Digital Leadership, a framework for all educators to initiate sustainable change to transform school cultures. As a result Eric has emerged as an innovative leader, best selling author, and sought after speaker. His main focus is purposeful integration of technology to facilitate student learning, improve communications with stakeholders, enhance public relations, create a positive brand presence, discover opportunity, transform learning spaces, and help educators grow professionally. Eric has received numerous awards and acknowledgments for his work. 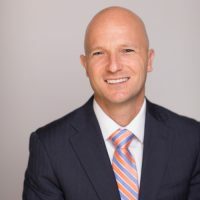 He is a CDE Top 30 award recipient, Bammy Award winner, NASSP Digital Principal Award winner, PDK Emerging Leader Award recipient, winner of Learning Forward’s Excellence in Professional Practice Award, Google Certified Innovator, Adobe Education Leader, and ASCD 2011 Conference Scholar. He has authored and co-authored 6 leadership books.